I think that, after that last blog, it’s really important for me to talk about the mercy male in general and who he is. Otherwise, when I say things like, “mercy males really struggle,” you aren’t going to have a clue what I mean. 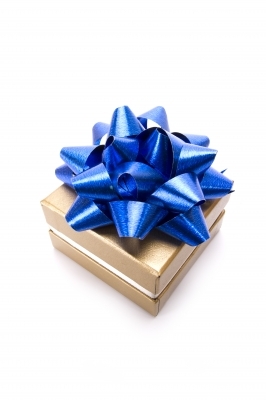 I’ve blogged about the spiritual gifts before (read about mercy gift here), but it was short and sweet, just to give you an indication about each gift. But I want to go into the mercy male in depth—in what might even be a longer blog than normal because…I’ve always been a bit inclined towards the mercy male. Ever since I started studying spiritual gifts, I have believed that there isn’t enough research and study on the mercy male. While the mercy qualities extend to mercy-gifted females as well, because this post is about the mercy male, I’m only going to refer to males. It’s because mercy males are so beautiful and intricate, and yet so misunderstood and probably struggle more than any other gift. Mercy males are those guys that you can talk to about anything. They are highly sensitive and beautifully emotional, and thus, they attract tons of female friends and usually have very few male friends. In fact, though they have a large number of acquaintances, they find connection with only a select few. They don’t like conflict and get along with everyone—they rarely have enemies. They want to make everyone comfortable at all times—make sure everyone is having a good time. They really like connecting with others, but not just a surface connection: they long for deep, intimate connections with others—intimacy of soul as well as physical touch. They desire hugs and physical contact. In other words, these are the kind of guys that need to be friends with their exes. Mercy males want to talk about their feelings, but they must be given time to process those feelings. Mercy males actually receive and process information uniquely–a free-flow, circular expression as opposed to the logic-driven, left-brained other gifts. They need a lot of processing time for several reasons: first, mercy gifts process everything through their emotions, which takes longer. In addition, they don’t like hurting people at all—so they will take their time making decisions to make sure they’re not choosing sides or causing pain to anyone involved. Thanks to their detailed emotional processing, they also have deeper and better understanding, insight, and wisdom than the other gifts. And yet, so many times I have seen a truth in a mercy’s life, and I have said it, only to have a mercy come back to me MONTHS later and say, “Remember when you said…” They can’t be pressed for information they haven’t fully processed yet…and still, they always are. Most mercy males are incredibly artistic and creative (Hollywood is full of mercy males! ), whether it is music, art, dance, cooking, performing, or even all of the above. This is partially due to their free-flowing expressive nature and combines beautifully with the way they receive and process emotionally. (Chris Evans, by the way, is an actor—and a dancer, and a musician, and an artist, and a director.) This is not to say that all artists and creative men are mercy males, nor does it imply that mercy males are only artists and musicians, etc. Instead, the mercy male can be found anywhere from the business world to the auto shop to the tech field. I know a mercy male who is an incredibly talented mechanic…this is because mercy gifts have an incredible understanding of how the parts work together to make the whole, and they bring alignment where things are “out of whack.” This mercy mechanic brings his creativity and expressive nature into his work every day and produces an incredible product for his customers. Mercy males are given this creativity and eye for beauty for specific reasons in the church—worship. Worship is crucial and worship is in the mercy DNA. Mercy males may feel shunned in a society that expects men to dominate everything. In fact, most mercy males don’t even want to be mercy males. They may accept facets of their gift (like sensitivity) but many desire the more “manly” gifts like prophet or administrator. I once had a mercy male tell me that he wanted my prophet gift—he wanted to be bold and to have my decisiveness. He wanted those things because our society has told mercy males that they are not manly enough. He had struggled his entire life with having his sexuality questioned, simply because he was a mercy gift. And that’s the plight of the mercy male. How do they deal with all these emotions they have and having to process everything through those emotions? How do they deal with the sensitivity, the emotional burden they often “bear” for others? How do they deal with the need for physical touch and intimacy? How do they deal with these seemingly “female” characteristics in a world yelling at them to be more “manly”? Having been built for worship of God, how do mercy males deal with the need to worship and connect with the Lord–especially if they don’t know Him? Unfortunately, too many mercy males deal with their gift in unhealthy ways. They are often left with deep anxiety that transcends what the other gifts may know or understand—anxiety from not knowing how to deal with their large emotional capacity, anxiety over how to deal with the expectations society has for them that does not take into account their incredible gifting. They struggle with sexuality in many different ways—homosexuality, excessive promiscuity, extreme sexual practices to fill the need for physical touch and intimacy. They suffer from substance abuse issues more than any other gift—substances to numb the emotions and pain they don’t want or understand, to help them be “more like” the other six gifts and think logically. They struggle with identity issues more than any other gift—wanting to be someone they are not. They feel misunderstood more than any other gift—because they haven’t connected in worship with their true Creator who understands them completely and designed them to be exactly as they are. The struggle is real for mercy males. I’ve consistently asked God to break my heart for the things that break His, and this time, God has obliged. This time, my heart is breaking bad for the mercy male. This entry was posted in Breaking Bad, Mercy Male, Purity, Self-Awareness, Spiritual Gifts and tagged breaking bad, Chris Evans, mercy, mercy gift, mercy male, sensitive males, sensitive men, Spiritual Gifts, spiritual gifts mercy on November 5, 2015 by pushyprophetgirl.